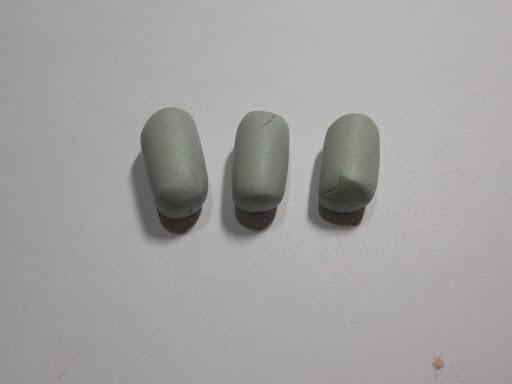 You can color your Fimo with Magical Mica’s, you must use Magical’s as they have pigment in them. 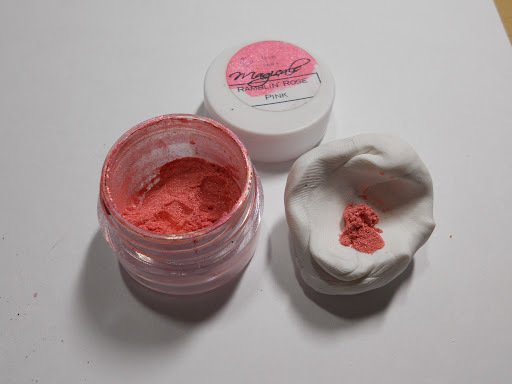 Add a small amount to your clay and mix well. 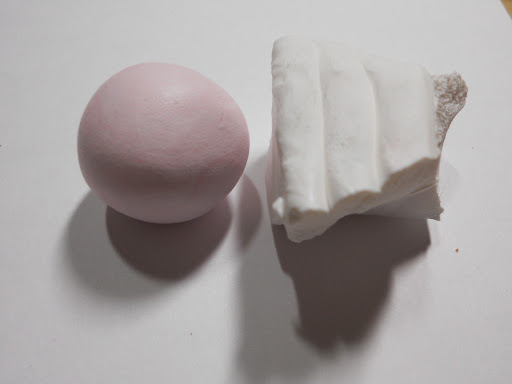 Here is the clay after being mixed next to the white Fimo. 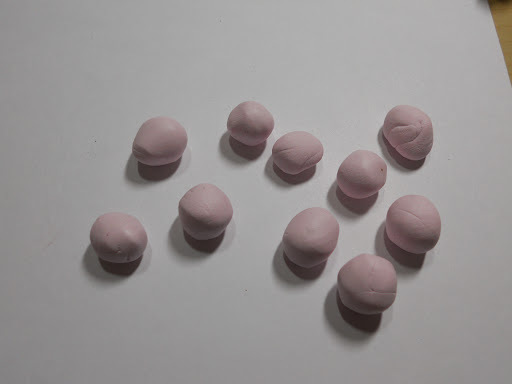 Make pea size balls, then flatten them. 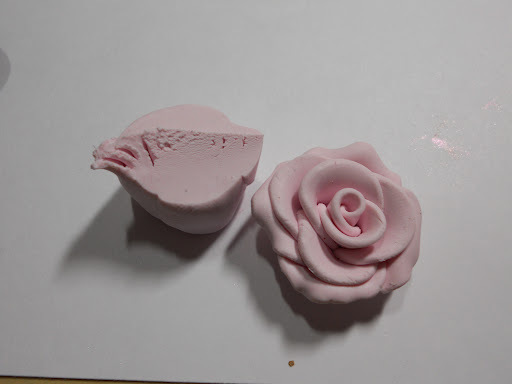 I used a stamp block. 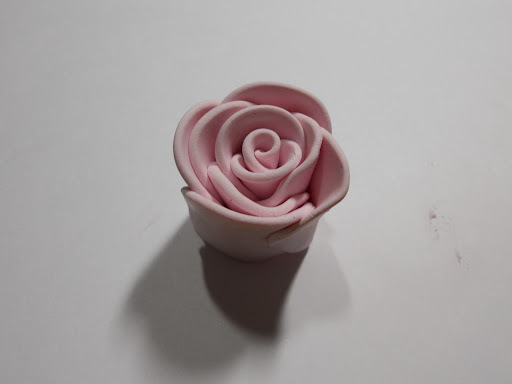 Start molding your rose! 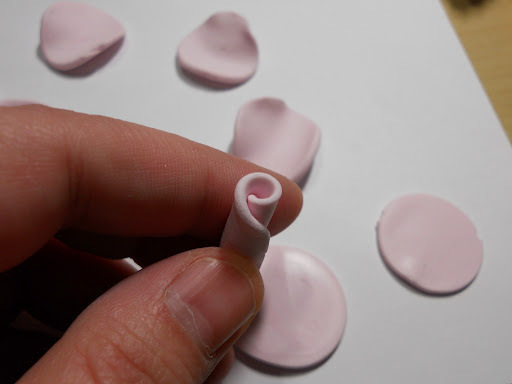 Here I just turned one side inward to create the bud. 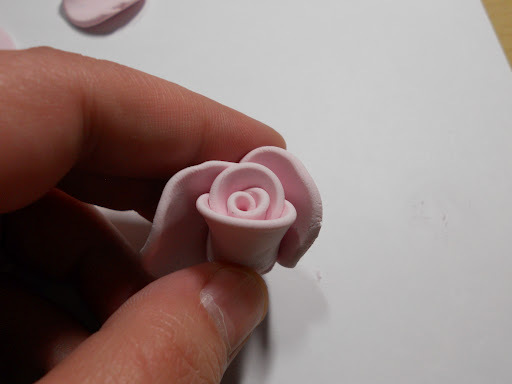 Add your petals and overlap one side. 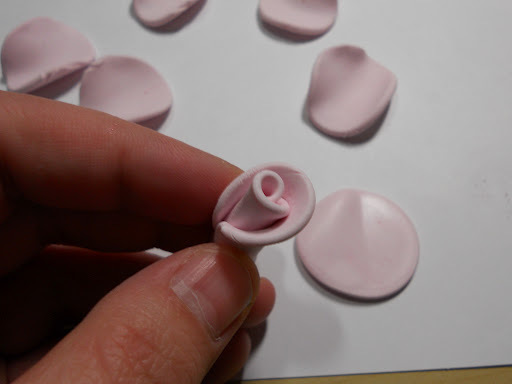 To create a spiral of petals. 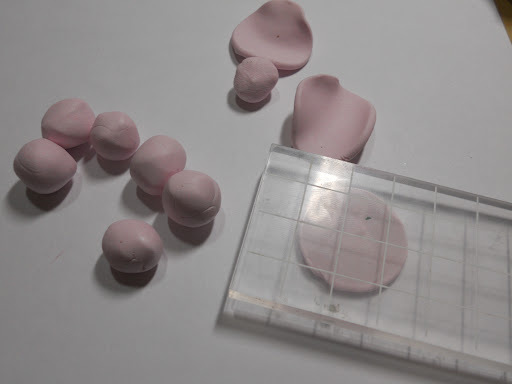 Once your petals are in place cut the excess at the bottom and keep to color for the leaves. 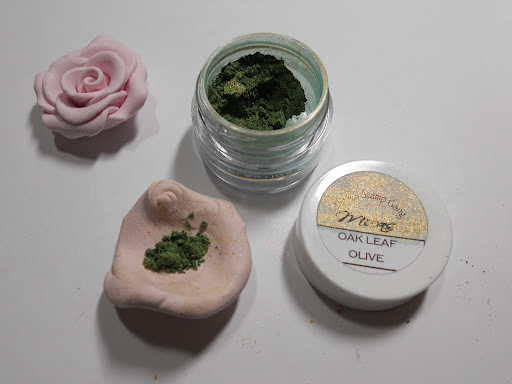 Here I added Oakleaf Olive Mica, I wanted a soft green so I used a mica. 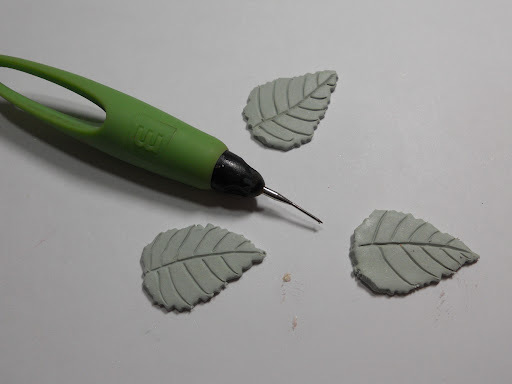 Here are 3 pellet’s I made to create the leaves. 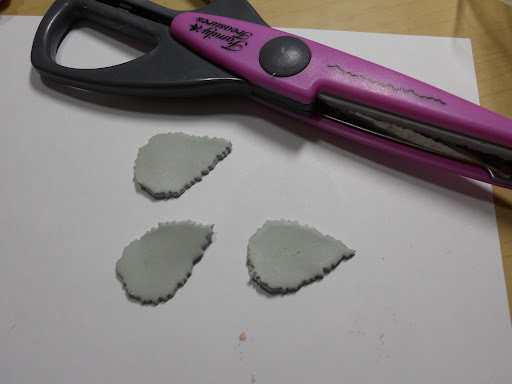 Now cut your leaf shape with some jaggity edge deco scissors. Draw the veins with something pointy. 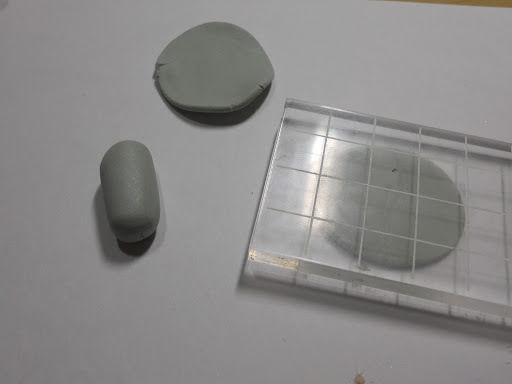 The instructions on Fimo soft say to bake @ 230 for 30 minutes. 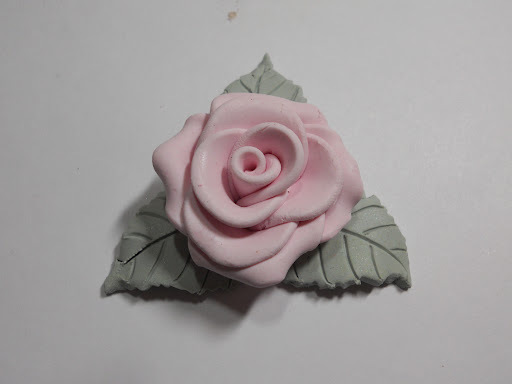 Here is my finished Rose with leaves. Decorated Asterisk Lamp with Elena M.